Dr. Heeren earned her degree from Iowa State University. 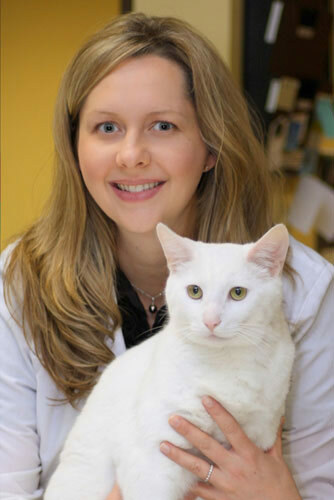 She interned in small animal medicine and surgery at Denver Veterinary Specialists in Colorado and earned a B.A. in Medical Biology from Beloit College in Wisconsin. 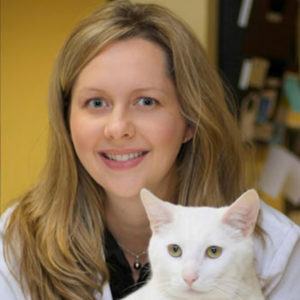 She has a strong passion for surgery and emergency medicine, and volunteers her time spaying and neutering feral cats with the Feral Cat Project. She also provides veterinary care at the Doney Clinic. Dr. Heeren is married with two children. She has one pet – a domestic short hair named Dexter. She enjoys gardening and exploring the hiking trails in the Seattle area.